I hope you all read that title the way you would’ve said Superman’s name back in the day. How deliciously beautiful does this look? Seriously, tell me. Weirdly, this is my first food creation post … weird because I create food (as in cooking, not growing … I’ve killed cactus so I have A LOT of work in the growing department) quite often. I suppose I’ve been holding out on you all, maybe so you don’t get jealous of the healthy goodness I eat [almost] every day. Well, now you can get jealous looking at this photo as this is what I ate for breakfast today. On the very bottom is kasha (roasted buckwheat – OMG the smell and taste of this stuff is just amazing … how does it entice my senses so?) cooked with cashew milk. 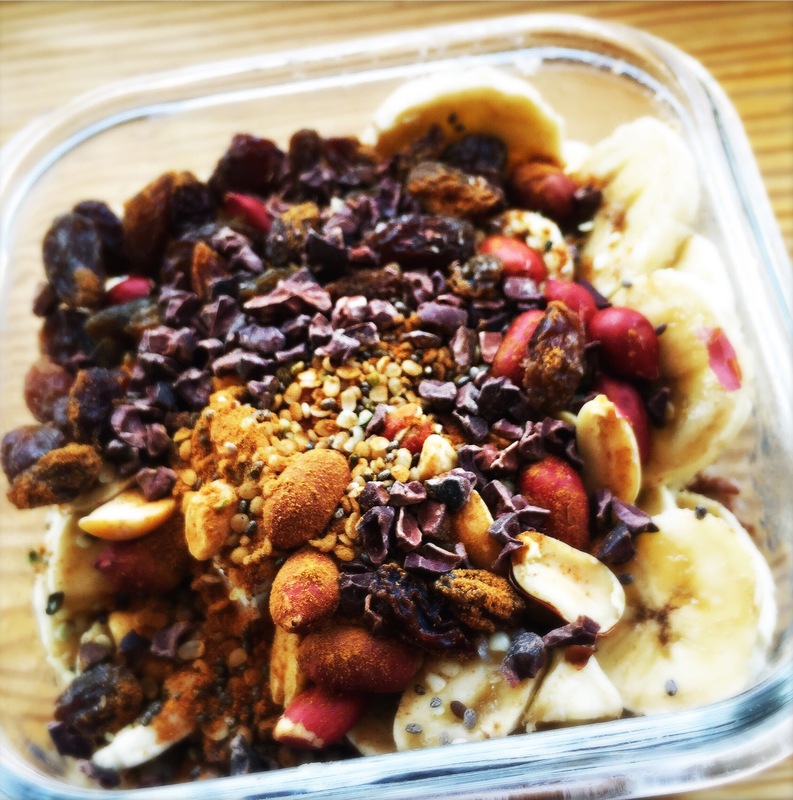 Then that delectable pile on top of the grain consists of a banana, peanuts, raisins, cocoa nibs, hemp seeds, chia seeds, coconut oil and cinnamon. And yes, it tastes as good as it sounds. For serious, if you eat grains, you aren’t allergic to buckwheat (Jen, I’m talking to you), and you know what’s good for you, then you NEED to try kasha. Follow the directions on the package and if desired, replace the water with your choice of milk (I’ve also made it with ‘Thai Kitchen’ canned coconut milk). The rest of the ingredients I just sprinkle on top, no measuring necessary. Enjoy gettin’ your kasha on !! !